Despite having weathered extraordinarily large amounts of ups and downs over the course of their career, few bands can touch the ferocity or the consistency of The Cult. Since forming in Brixton in 1983, the group has gone on to sell millions of albums world-wide, embraced by both the post-punk and hard rock communities. The Cult has an amazing new record out now. Choice of Weapon sees the group embrace elements of their past while firmly moving the group forward. The album’s 10 tracks reveal a band at their most raw while writing compelling tales of redemption, revolution and love. 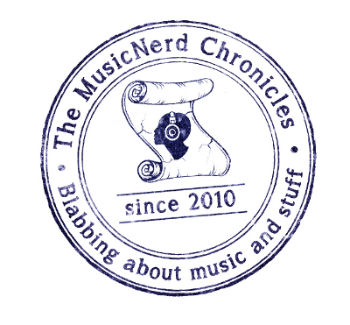 Last week, The MusicNerd Chronicles had the pleasure of speaking with The Cult’s Ian Astbury, one of the most passionate and articulate people that I have had the pleasure of speaking with. The Cult is making records at a much more leisurely pace these days compared to the seemingly hectic period between 1984 and 1995 when some might argue you were at your commercial peak. Was slowing down the pace of the band more of a survival instinct in order to keep the group together? Astbury: I can only really comment where are at now. It’s difficult to talk about things that have already occurred aside from a nostalgic point of view, which ends up being really boring. Reality is though, The Cult have gone on hiatus twice, the first time being in 1995. We had just come off 12 years of completing an album and then going on tour. There was nothing in terms of a break and the attrition on your psyche just absolutely kills you. Many people don’t get out of this business alive because it becomes a way of life. So The Cult took a break. I made a solo record; I made a record with the Holy Barbarians. Aside from music though, I travelled; I spent time in Tibet and India and other places in the Far East. In 1999, The Cult reconvened and released Beyond Good and Evil in 2001 and then we ended up taking a second hiatus shortly afterwards. But that was more due to the industry itself at the time. The label that we had signed to for the release of Beyond Good and Evil was more-less cut up when Warner was merged with AOL. And after 9/11, it seemed the record industry ended shortly after that. It was a very dismal time for North Americans in general. Astbury: Yes they did. We played probably 150 shows together between 2002 and 2008. In addition to that, I had collaborated with U.N.K.L.E. as well as with Trent Reznor, the latter of which never ended up seeing the light of day. Since 2007’s Born Into This, The Cult seem to have been on steady ground with the addition of Chris Wyse and John Tempesta into the lineup. Is this the most consistent lineup that The Cult has seen? Astbury: We have really had to work at keeping it together but frankly, any relationship is like that. You can’t expect to be in a relationship and expect everyone to be 100% engaged at every moment of the day. Being in a band is very much like being in a relationship; you’ve got to work at it. Of course you end up spending 22 hours each day up each other’s asses and in each other’s faces. That can be really grinding. It’s okay when you’re 25 years old but as you get older, you realize that behaviour can be detrimental to your health. Few individuals have the capacity to be able to maintain that kind of self-abuse. There has been a lot of press about your UK tour with Killing Joke and rather nasty tirade that was supposedly attributed to Killing Joke front man Jaz Coleman. What exactly happened? Astbury: We made a decision to try to let everything settle before we say what we want to say. We simply decided to sit back for now. Apparently, the webmaster from Killing Joke’s website wrote the statement on their behalf; the band immediately issued an apology. Jaz wasn’t even in the country when all of this went down. But the fact of the matter is as people are taking sides, nobody cares about Jaz Coleman and nobody cares about Ian Astbury. It is easy to get caught up in the triviality of it all. For now, I will tell you that we’ve given Killing Joke the opportunity to get their house in order. I have friends that are friends with Jaz and so I felt it was right to offer a little cultural diplomacy. You’re now 50 years old. Are you contemplating your mortality more now that you have reached such a milestone? Would you like to be working more, releasing more music, etc to help build your legacy? Astbury: I really don’t care about legacy or anything like that. It won’t matter to me. In terms of mortality though, that is something that has fascinated me since I was a little kid. I feel that throughout your life, you have certain experiences that really wake you up to appreciate what you have and to work harder for better experiences. Sadly, awareness isn’t something that is prevalent in our culture. Frivolity and indulgence are what is encouraged in entertainment; no one or very few people seem to be having the conversations that really matter. I feel that Canadians really embody a culture that I admire. There is such a vast wilderness to explore; I am envious of a man who can walk out his front door and be out in the wilderness. For me, that is certainly where I am at my happiest and I think that those themes run throughout our new record. 5 Responses to "The Cult Return From The Wilderness"
I love both The Cult and Killing Joke. I feel very let down by the Killing Joke tour statement, I still do not know whether to believe the bands reasons in the apology. This could have blown up into an embarrassing mess but both The Cult and The Mission have come out of this looking good. Looking forward to the gigs, no matter who turns up. 2008 Baby 81 was my CD of choice that summer and the hits- weapon of choice, 666 conducer, took out a loan, american x great songs.. stuck in my car’s player. i would love to hear the band just jam.. albeit short, sweet and succint has it as what it is. Ian and Billy have givin it all and CULT are the capstone. Im sure killing joke just bow out in utter honor.. the fact is they have the best album ever and that’s no joke.